Evolution has fitted us with the propensity to believe what we are told, to do as we are ordered, and to march behind those we take to be our leaders, those in authority, the bosses, the experts. Those of us who say, “Wait a minute, let’s talk about this, let’s do some fact-checking, let’s think about this for a while first,” are in the minority. We are the doubters, the square pegs, the friction in the otherwise smooth road the totalitarians, the corporations, the self-interested would otherwise see before them. Doubt has led me to read much more slowly than I used to back in the days before the Internet. Now, when I read something, I find myself fact-checking the author or reading up on some bit of history or scientific claim alluded to. And now, I find myself much more skeptical when an authority makes claims about themselves or their field of endeavor when those claims are laudatory, because, mainly, I’ve learned that some authorities are prone to spin the plain facts or else just make things up. More dangerous than the liars, are those who have been told and have believed falsehoods. When they claim this or that, and are wrong, they aren’t lying, they are simply repeating a lie they believe to be true. In some cases, the original lie is many steps back in a chain of dupes unknowingly bamboozled. I don’t think it is always possible to tell whether someone repeating a falsehood is doing so knowingly, but there are cases when there simply isn’t an adequate explanation or justification for passing on false information. If a coworker repeats something they read that turns out to be wrong, they can be excused for have been misled. But if a reporter for a news outlet does this, it is harder to excuse them. There are some news sources that we expect to hold themselves to a higher threshold of accuracy than do daily papers. Among these are the top-tier science journals. While I understand that a headline on a checkout line tabloid should be read with doubt, a headline on the cover of the flagship journal of the American Association for the Advancement of Science should be accurate. When top-tier science journals massage the facts to influence public opinion, the harm is great. The article itself is (as I write this) available here and here. There seem to be only a few, two I think, possibilities to account for the misleading nature of Mr. Grimm’s article and claims in the Science Podcast, transcribed at the end of this essay. He might be actively and knowingly misleading readers and listeners. He might believe and accept the industry’s propaganda without question. Whatever the actual reason, his editors bear equal responsibility. The notion that vivisectors are going to let the public see what they do to animals is ridiculous. 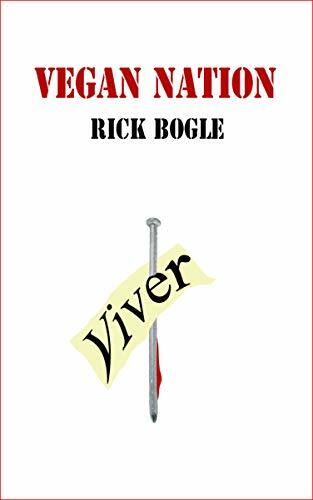 No one who has read, even passingly, the history of the industry’s understandable reticence at letting the public see the things they do to animals will believe that the vivisectors have had a change of heart. So the headline alone teeters toward frank nonsense; and given its placement and claims, I think it fair to call it fake news because the editors and Mr. Grimm must know it isn’t true. If they know it isn’t true, they are passing on propaganda dressed up to look like truth. This violates the public’s trust and is part of the academy’s long seedy pattern of ethical deficit. Below, I have annotated the pod cast Mr. Grimm participated in and inserted some links. To the journal’s credit, the host seems to express some doubt that the proposed PR gambit will shift the tide in the labs’ favor. ~1:13. Sarah Crespi: Welcome to the Science pod cast for June 29, 2018. I’m Sarah Crespi. 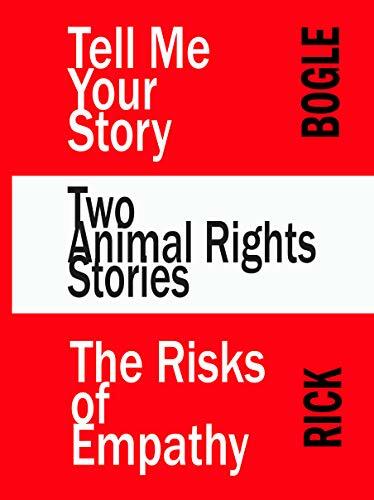 In this week’s show David Grimm has the story on sharing more on how and why animals are used in labs in an attempt to counter animal activists and win back the public. ~1:55: First up we have David Grimm; he’s here with a story, a new story, on animal research. Hi Dave. Sarah: Here in the U.S, public opinion about animal studies appears to be on the move. A poll last year recorded a substantial change since 2001. Back then 65% of adults found animal studies morally acceptable. As of 2017, only 51% feel that way. And this changing attitude appears to be having an effect on policies, like what Dave? Dave: Well Sarah, there are a couple of new animal advocacy organizations on the scene. 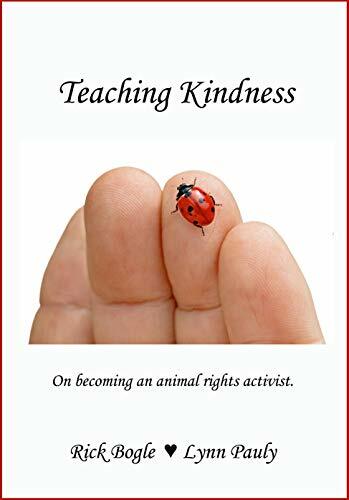 When people think of animal rights or animal advocacy organizations, often they tend to think of Peta, People for the Ethical Treatment of Animals or the Humane Society of the United States. One of these new outfits is called the White Coat Waste Project which just came into being a few years ago. It’s shtick is basically trying to capture conservative voters and politicians as well as liberals. Not only do they talk about torture inside laboratories, but they also talk about animal research being a waste of taxpayer money. Dave: There’s also a group called the Rescue and Freedom Project. And their goal is basically to also get animals out of labs; they’ve been advocating for laws at the state level around the country too, what are called “beagle freedom bills” to force researchers to adopt out their lab animals, typically cats and dogs, at the end of research studies. They’ve had success in eight states so far, two in just the last six months. And the White Coat Waste Project has helped shut down a nicotine study on monkeys at the FDA and also a bunch of canine research at the USDA system. Dave: And all of these efforts have been really opposed by the scientific community [Sarah: Um-hum.] at the state and federal level. And yet, these animal advocacy groups keep on winning. Sarah: Right. And so there is this change in public opinion and there’s some concern that, you know, as it gets below 50%, which is what is projected, a lot of laws are going to come into effect and that’s going to have a serious, that’s going to cause serious problems for researchers. Dave: Yeah. Researchers are really worried that funding is going to dry up when public opinion reaches this tipping point. It’s going to be a lot harder to do animal research. And so they are really tying to come up with a way to combat a lot of this stuff that’s been happening, not only public opinion but in the legislations as well. Sarah: Okay. So one of the places you focus on in your story that’s trying this, I guess we’d call it transparency approach, [Dave: Right.] was out in Oregon. So you got to visit a different a different kind of primate research facility for once. Dave: Right. This is the Oregon National Primate Research Center [ONPRC]; it’s one of the biggest, it’s actually is the biggest primate research center in the country. It’s located in Beaverton, Oregon, just a few miles outside of Portland, and their whole thing is transparency. And what they mean by that is they’ve got about 5000 monkeys there. And what they do is they actually bring the public in to take a look at the monkeys in their habitat. To take a look at them in the places that they live; also meet the scientists there, and the scientists talk to visitors; sometimes its high school students, when I was there it was a group of high school students, sometimes it’s Rotary Clubs, sometimes it’s wedding parties; just anybody who wants to visit. Everyday of the year they offer tours. And the goal is: ‘Let’s break down these barriers,’ because labs have traditionally, at least in the past couple of decades, been pretty shy about their animal research. [Sarah: Right.] Not posting about it on the web, not talking about it in their press releases, and certainly not inviting the public into the laboratories or even their animal facilities to see what’s going on. So this Oregon center is really at the forefront. What a lot of advocates are saying that a lot of other research facilities in the U.S. should be doing which is being a lot more transparent, a lot more proactive in engaging the public, here are the animals we use, and here’s why we use them. [It is grossly misleading to say that ONPRC’s “whole thing is transparency.” Nothing could be further from the truth. The visitors (wedding parties?) are shown some of the breeding colonies. You can see these outdoor corrals in the image below from Google maps. A USDA inspector resigned about 10 years ago after nothing was done when she reported, among many other problems, that during one spring it became very muddy and the monkeys were having to wade through feces and mud to get their food. I suspect it still rains in Portland. More than 3000 macaques live in enclosures like those or in larger open-air arenas. Another 1500, which researchers are actively studying, are housed in a building off-limits to the tour. Gordon says those animals may be susceptible to human diseases and, unlike the others, aren’t used to seeing large groups of people and would be stressed by visitors. Sarah: Now that’s a stand-alone facility. Their main thing is animal research. But there are animal research labs all over the country, especially in universities, and that’s been, there’s a long history of universities kind of hushing up any animal research; is that something you see changing? Dave: Right. And one of the big motivators for that was, you know, a lot of extreme animal activism in the 80s and 90s, and not just protests and letter-writing campaigns, but car bombings and things like that. Dave: That made a lot of scientists and universities very shy about, even though they thought they were doing very important work, shy about promoting about it. And so, one of the goals is, like the Oregon primate center, let’s talk more about the animals we use, you know, and even if we don’t let the public come in on a tour, if people come to our website, you know, they should be able to see all the animals we are using, but more importantly, why we’re using them, what therapies they’re leading to, you know, what we do to them, you know, as one of the people I talked to in the story said, ‘It’s always worse in people’s minds when a lot of the public hears animal research or animal experimentation, they conjure up these very, almost like sci-fi frightening images which aren’t always the case. And the researchers say, you know, if people saw what we are doing, they wouldn’t be as willing to buy into what they see as propaganda from the animal rights animal advocacy community. Sarah: Is there any evidence that, you know, this transparency approach, letting people into labs, letting people see what’s happening, you know, with animal research in much more detail, is there any evidence that that works to sway public opinion? Dave: So, the U.K.’s actually been kind of ahead on this. And they started doing this a few years ago; they launched a thing called the Concordat which a lot of UK institutions sign on to in fact a majority have signed sign on to which they promise to be more open and what U.K. has seen since that happened, there’s been a up-tick for the first time in years, in support for animal research, and one of the sources I quote in the story says there has also been a lot less negative news stories in the press about animal research. Now that’s just a correlation, but the U.S. looks at that and says, well, it seems to have had success in the U.K., will it work here as well. Sarah: I mean but, in the past couple months you’ve been reporting on, you know, the changes in the status of chimps in research, and then there’ve been some stories that come out about, you know, how often inspections are going to happen in labs, and where those results are going to be posted and how often. You know, it doesn’t seem like that is the trend in terms of like animal research in the U.S. right now. Dave: Yeah. I mean, you know, again, animal researchers, animal facilities have been pretty shy. So I think the big open question is A: is transparency the answer? Is that the way to sort of bring the public back, to combat some of these animal activist campaigns? But, B: are scientists and you know, universities in the U.S. actually willing to do that? [Sarah: Um hum.] You know, are they willing to sort of expose themselves? Are they willing to expose themselves tin a way they haven’t for decades and sort of risk maybe more animal activity, but perhaps along with that get more public understanding about what they are actually doing, and why they are doing it. And that ended his segment. Maybe Mr. Grimm does not live near a large university. Or, maybe the one I live near is the exception. 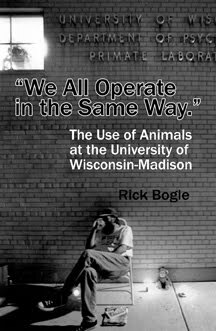 UW-Madison’s public relations department has consistently kept pro-animal research articles in the local press, and these have frequently been picked up by national news outlets. Two examples are fair bookends to this phenomena: misleading reports about Harry Harlow’s experiments were printed across the country for thirty years, and recently papers have featured misleading articles about the university’s caloric restriction research with monkeys. Claims about why they are using animals abound; details of what they are doing to them not so much. A couple small things just to tie up loose ends. Mr. Grimm says that ORPRC is the largest primate center. Here’s some dated info from PrimateInfoNet. The Washington National Primate Center in Seattle has monkeys in many locations around the country and in Asia. I think it possible that they may have the most monkeys on hand. And, how should the size of a primate center be determined? Though not a primate center, Covance, here in Madison, consumes about 9,000 monkeys a year. Many of the monkeys in the NIH National Primate Research Centers are used for breeding, and many are used in long term projects. I don’t think they are killing anywhere close to 9,000 monkeys a year. More transparency is needed, but unlikely, because in truth, the vivisectors are afraid of the outrage and backlash if they were to actually reveal the truth. Two more bits that may be of interest.